The Freemasons is a lovely, quirky pub and smokehouse in a historic and charming building first built as Knutsford’s silk mill in 1754. Located next door to Knutsford Market Hall on funnily enough, Silk Mill Street. 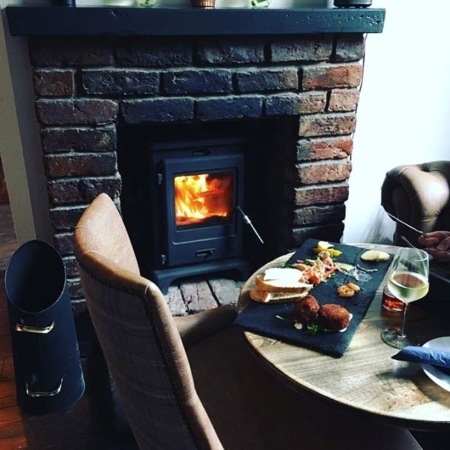 The pub has undergone both an an internal and external refurbishment and offers a contemporary and relaxed environment to enjoy drinks and food. To be honest we love this pub. It is cosy, comfortable offers a wide range of beers, house spirits, wine and fizz. Their food offer is a varied, laid back affair. Nibbles? Full monty? Afternoon Tea? Rib Eye Steak served on a volcanic lava stone? It is a yes to all four! For our tour the offer is smoked meatballs and we think you will be bowled over by this little gem of a pub. Wine and Wallop is your definitive wine bar, ale house and eatery. Inspired by the tradition of the old wine importers in the City of London who opened their cellar as a place to sample the wines which they sold. Cheese, olives and charcuterie were offered to complement the glass of wine. This grew into a proper kitchen offering lunch and dinner and the Brasserie was born. We offer 100s of wines, gins, locally brewed ales including our own brews, and an elegant menu. Wine & Wallop is a newcomer on the Knutsford scene opening in spring 2018. What an arrival though! The style of Wine & Wallop is casual, laid back, unstuffy and quite ‘arty’ – no surprise given that the owner, Justin is an ex-interior designer. Their food menu is great too, small plates and mains, Sunday roasts and a gorgeous brunch menu. To be honest when you visit Wine & Wallop you will be bowled over by it’s charm and laid back style. It’s the sort of place makes you forget about your day and that’s before you’ve had a drink by the way….. If you are wondering where ‘Wallop’ comes from it is an old fashioned word for beer! Their offer is a side dish plus a few wallops to wash it down with! There has been a cafe at the market since it opened in 1964 but Ollie & Steph Chadwick took over the reins in 2017. It is only a little cafe but to be honest, the variety and quality of the food on offer is amazing and they have a really loyal following. This is also due to the fact they are just so flipping friendly and go the extra mile! They offer a huge range of food from a quick coffee on the go before work, through to huge salads and homemade cakes. The menu does change with the seasons and whilst not wishing the year away the ‘Christmas Dinner’ in a roll is a particular favourite of ours. What’s on offer for Taste Knutsford? Well, good old fashioned sausage rolls. Why? Well, Ollie’s sausage rolls are fairly legendary and actually came fourth in the UK in a ‘National Sausage Roll Competition’ (that is actually a thing) so we really felt we had no choice. You are welcome! 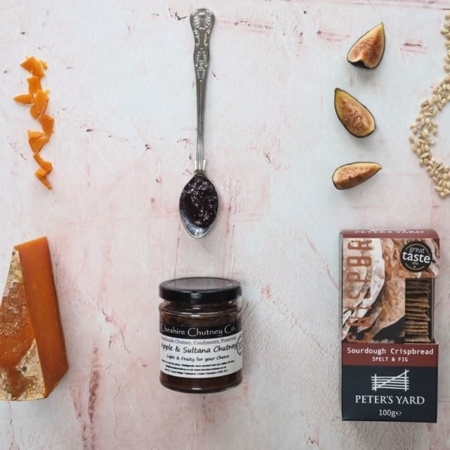 The Cheese Yard is a specialist cheese shop and café that prides itself on selling the finest produce and supporting local suppliers (always a winner in our books). As well as cheese they have a wide selection of deli products such as local chutneys and artisan crackers, British paté and charcuterie plus daily home-made quiche. Of course, what accompanies cheese? Wine, of course and this cute little shop sells a unique selection that you will not see in the supermarket. Sarah Peak, the owner, has many years of ‘cheese experience’ and to be honest is a walking encyclopedia (or should we say wikipedia) when it comes to cheese, So no prizes for guessing what their offer is for our tour, yep it is cheese! They stock a huge range of cheeses from ewe’s, buffalo, goat and cows to hard, soft, blue and smelly! With so many different cheeses to choose from they might choose a different selection for each tour. The Old Sessions House is nestled in the centre of Knutsford, on Princess Street (or top street as it is known to the locals!). TOSH is a quintessential British pub – cosy & welcoming and quite frankly we are sure you will all agree we need to support the British pub. It might be modern in style but it is intimate, cosy and relaxed plus children and dogs are welcome. Again the menu is vast and varied and ranges from massive burgers, dirty chips through to sea bass fillets and a detox salad – the latter possibly is popular on a Monday lunchtime….. Sunday lunches are a particular highlight of the week and of course like any pub there is a huge selection of wines, gins, lagers and cask ales. However, like any pub it is the staff that count and they are a particularly friendly bunch at TOSH. They recently won first place in the public voted ‘Floral Walk’ competition run to celebrate the annual RHS Show at Tatton Park. Their offer for the tour is crab crostini. The Courthouse is in a Grade II listed building and it will blow you away. So even though this is a food tour be prepared to feast your eyes on a fairly recent conversion from a working court to a hotel, bar and restaurant. It is a truly iconic building – Alan Turing’s trial took place there and the magnificent building has been refurbished to emulate it’s history and grandeur-style. It is now home to Barristers Restaurant & Rooftop Gardens and The Courtroom and Moneypenny Suite which are used for events and weddings and offers 10 luxury bedrooms. 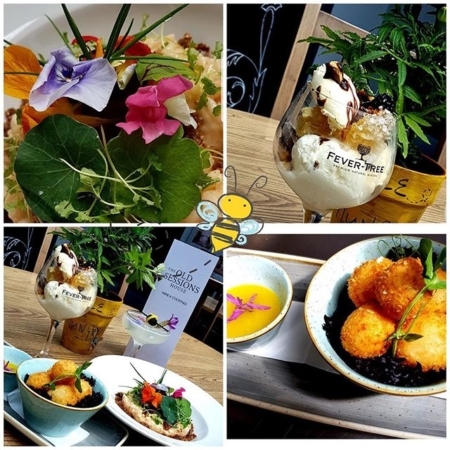 The restaurant aptly called Barristers is headed up by Executive Chef Steven Tuke and Head Chef Jake Rossington and serves premium British seasonal menus throughout the day, providing a fresh and homemade menu that changes with their local suppliers, foragers and gatherers. 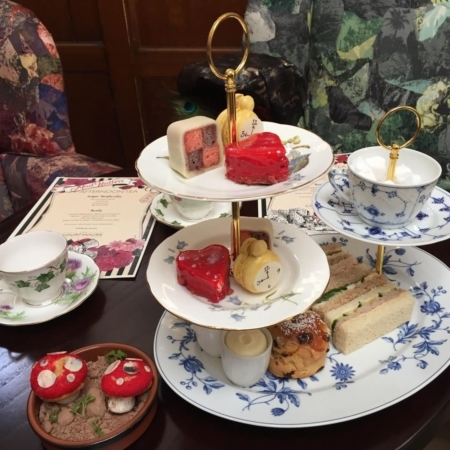 The Courthouse will be offering a mini afternoon tea, right at the very end of the tour and it will be the perfect finish of a gastronomic day! The Real Fruit Creamery is one of those little hidden gems. Tucked down a little side street on the way to The Moor it is easy to miss. Don’t though! It is a gorgeous little place where they make gelato and sorbets and are constantly experimenting and evolving to create new flavours. 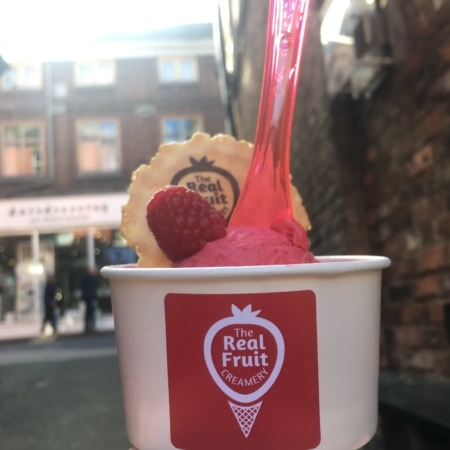 All their gelato and sorbets are handmade in small batches on the premises using only the finest quality ingredients to ensure that delicious, freshly made taste. They are especially proud (quite rightly too) of their trademark real fruit flavours, which are locally sourced wherever possible and always made from the juiciest of fruits. In the 4 years since they opened they have expanded to offer milkshakes (made from any flavour gelato!) and a wide selection of hot drinks. They really enjoy what we do, and their aim is to continue to create innovative, quality gelato for many years to come! So no prizes for what you will be tasting on the tour. Yep, apple pie! Sorry, couldn’t resist! It will be a lovely selection of sorbets and ice creams to refresh your pallet. You are welcome. Morgan Edwards are fairly new to the Knutsford shopping and dining scene. 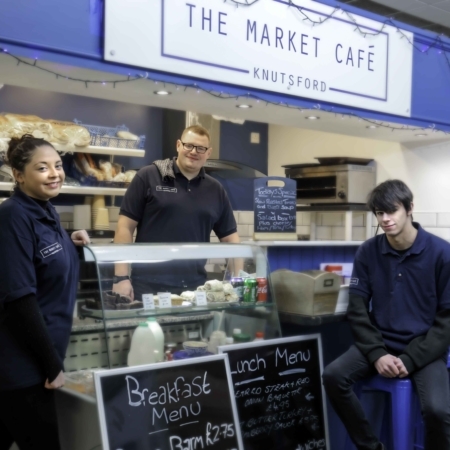 Based in Knutsford Market Hall (alongside The Market Cafe) they have been trading their since February 2018. 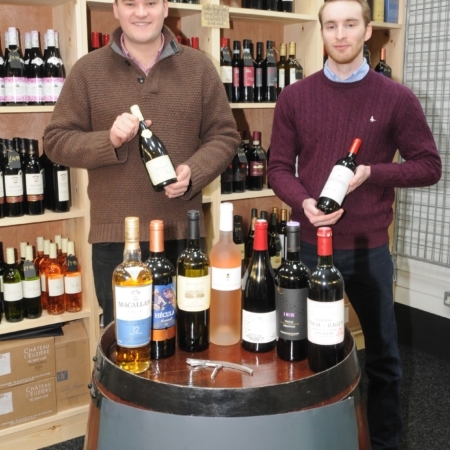 They are a really, friendly and knowledgeable duo – friends since University and have always loved wine. After working in different fields, their first love kept calling and they decided to take the plunge and set up their first venture. They are quite clever when choosing what to stock – selecting wines and spirits from smaller wholesalers and specialist importers (contrary to standard industry procedure). So you never know, you might see that wine you fell in love with on a foreign holiday and haven’t seen since. They have a wide range to suit all pockets and will happily dispense advise whether it is for your Friday (or if you are having a bad week Tuesday!) night bottle or a fancy dinner party. Obviously we will be tasting wine on our tour – a small selection to whet your appetite. Hola! If you visit Manchester then you will already be familiar with Evuna. Their story started in 2002 as a fine wine house with a main interest in importing Fine Spanish Wines from Boutique wineries. The following year, to complement their amazing wines they brought the best chefs from Madrid to rustle up an eclectic mix of Spanish dishes ranging from tapas to full banquets with anything in between. Unbelievably in 2018 they are celebrating 15 years as the North West’s leading Spanish restaurant, tapas bar and fine wine merchant. 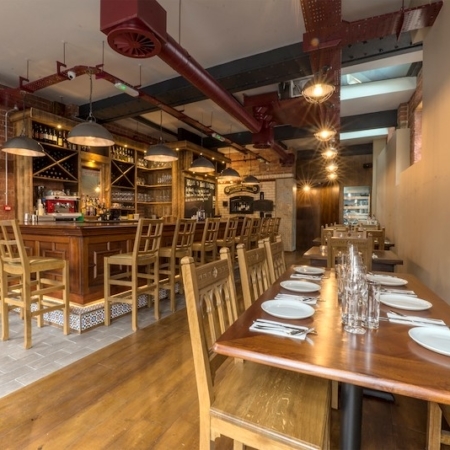 Since the original Deansgate restaurant opened they have added the Northern Quarter, Knutsford (and soon Altrincham) to their Spanish venture. However, quality and authenticity are the by-words underpinning each location. In 2017 they opened their Knutsford branch and what a gorgeous restaurant it is. A careful restoration of a Grade II listed building which includes a Josper Oven (the worlds largest indoor BBQ developed in the gastronomic hub of Barcelona). This means as well as tapas the Knutsford branch offers an exciting main course menu. The offer for the tour is Croquetas Variadas. Disfrutar! 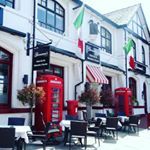 Nearly every town in the UK, has it’s favourite Italian restaurant and for us it has to be Giovanni’s. It is an absolute must for connoisseur’s of Italian food. It’s location is perfect – nestled at the end of King Street but a couple of minutes walk away from Tatton Park. Housed in a beautiful Grade II listed building (formerly the Old Post Office – the postbox and traditional ‘phone box outside make the ideal photograph), Giovanni’s is the ideal venue for lovers of Italian food and on a sunny day, after a walk round Tatton Park, sitting outside, sipping an Aperol Spritz – well what could be better? Like all our eateries, what they offer on tour can vary with the seasons. At the moment, this large and airy venue offers some gorgeous homemade, focaccia, olives and tomatoes at the beginning of the tour. As always, doggie bags are on offer! Prego! We love Dexter & Jones! Knutsford’s independent Craft Beer & Gin bottle shop and bar. It stocks over 450 craft beers and over 100 artisan gins. Wow! Which one to choose is our main problem when visiting here. 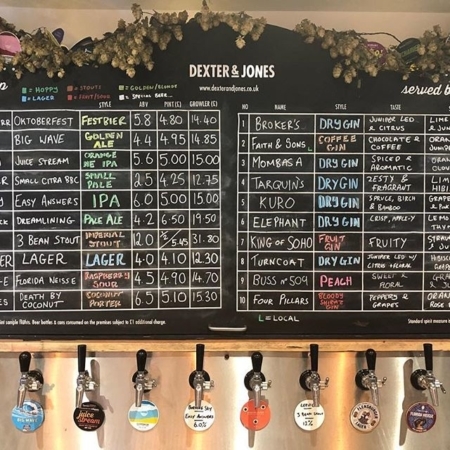 We also love it because it is completely laid back and unpretentious – you can chat to your fellow beer and gin lovers or just quietly sip in the corner! All of their beers are available to take away or can be consumed on the premises. In addition to the beers on the shelves, the shop features 10 constantly changing draft keg beer lines. As for gin, not to feel left out they also have 10 constantly changing ‘perfectly served’ G&Ts ‘on the board’ for you to try. All are served with a premium tonic and the distillers recommended garnish, allowing you to taste the gin how the distiller intended. They hold regular tutored tasting evenings in the shop, hosted by local brewers or distillers. We are very lucky to have them on board our tour. No prizes for guessing what their offer is on our tour – it is gin! Enjoy! Well, this is a venue where the phrase, hidden gem, was made for. 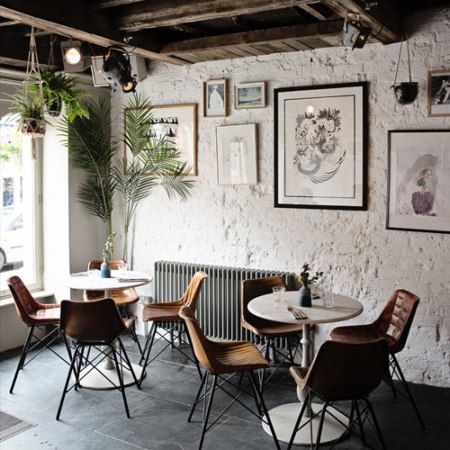 Nestled, off a little cobbled alleyway of King Street (or Bottom Street as the locals say), this stunning eatery offers breakfast, lunch, tea, cakes and much more. It is also home to a ‘Penny Farthing’ museum, started in 1978 when one Glynn Stockdale retailed a treasure trove of items within his Antique furniture shop on King Street. A single Penny Farthing was among them and this collection grew to the one you will see now when you pop into this delightful venue. Oh, there is also a toy train that runs along a track above the main restaurant. Intrigued? You should be! Our stop at this venue is short but informative and fun. You will be greeted by staff with a takeaway bag containing some warm scones to enjoy later. However, you can learn more about the venue and take some photos in the venue’s pretty court yard garden – complete with, yep you’ve guessed it, a Penny Farthing. 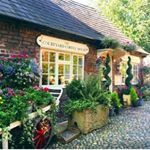 This venue sums up Knutsford really – quirky, pretty and a world away from the hustle and bustle of city life.